Digital transformation and smart technologies are paving the way towards smarter healthcare. 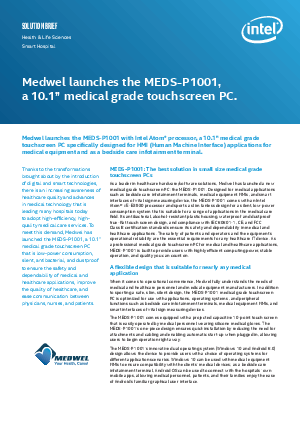 Medwel understands that the goal of smart hospital development stems from the needs of the patient. By tapping on ICT advancements in the healthcare environment, the common goal is to reduce medical errors and achieve a holistic approach centered on the patients’ needs. Expandable functions through peripheral devices such as cameras, RFID reader, WIFI, etc.